Pretty Caucasian baby touching piano keys and looking at camera. Nice little boy starting to laugh. Happy childhood. Home. Indoors. Lifestyle. 4k00:13Wonderful little Slavic boy lying on soft beanbag and holding toy piano in hands. Portrait of smiling Caucasian baby with blonde hair. Indoors. Lifestyle. 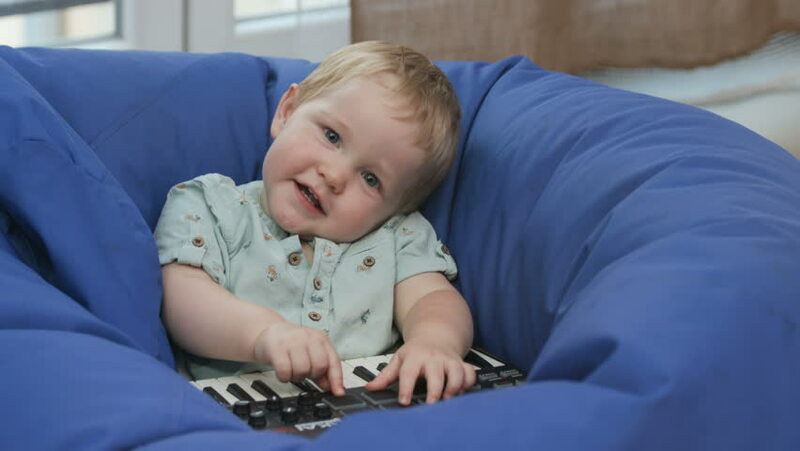 4k00:30Little child twisting button on toy synthesizer and looking attentively at camera. Cute little boy looking at camera and laughing. Indoors. Coziness. hd00:25Child wants attention. Young cut boy seating in the chair and crying in the kitchen because he wants some attention, footage in slow motion.